Hell there, well despite what I said I have found another ATC to upload. I inked the card up with a blue inkpad and let it dry. 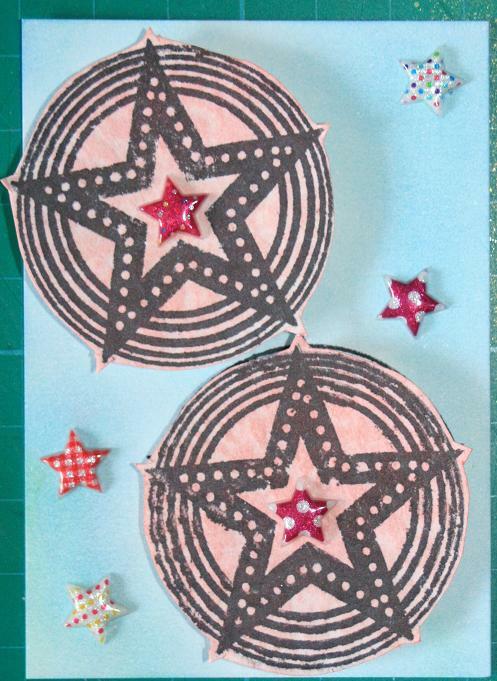 The big stars were stapmped onto spare card and then inked up with a light pink inkpad. Once everything was dry I raised the big stars up on pop dots and added stick on stars to the centre (only 99pfrom Paperchase) as well as a few on the rest of the ATC.